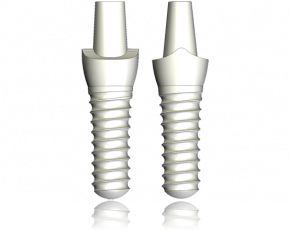 When you hear the word “dental implants”, an image of a metal screw automatically comes to mind but did you know that there are few types of dental implants? Dental implants are constructed from a range of materials such as titanium, stainless steel, titanium alloy and zirconium oxide ceramics. This entry was posted in Oral Care and tagged all ceramic dental implants, ceramic dental implants, ceramic dental root implants, ceramic implants, ceramic tooth implants, dental ceramic implants, zirconia dental implants, zirconia implants, zirconium dental implants, zirconium implants on March 23, 2010 by oileng.